It is quite amazing how certain things in life bring us together and successful weight loss stories is definitely one of them. We all know the problems related to being overweight, how much our self esteem is affected, how depressed and sad we feel, the frustration of not being able to fit into that slinky dress or those skinny jeans. The old saying don’t judge a book by it’s cover …well unfortunately first impressions are normally lasting and most people judge you by how you look. This is why it is so important to share your achievements and weight loss stories with others because it is so motivating and encouraging for anyone looking to change their life and lose weight. Arletta, was in a very bad place she had always been pretty active but then injured her knee and due to the injury had a long period of forced inactivity. She was very depressed and became an emotional comfort eater so piled on the weight. After a friend who hadn’t seen her for several months did not recognize her she decided it was time to do something about getting back into shape and quickly. She did a lot of research on what would suit her best to achieve the weight loss she wanted and decided on HCG injections. Rene had always, even as a child had problems with her weight and of course with each pregnancy she never ever lost the additional baby weight that she was carrying. As she said you know that you are carrying this extra weight around but somehow you don’t see or don’t want to accept just how much weight you have gained. Rene eventually decided to do something about her weight when her GP told her if she continued carrying the weight around it was definitely going to affect her health long term. In addition one of her closest friends was getting married in a couple of months and asked her to be the Maid of Honour. She found the HCG diet and decided to use the Lipolytic injections and has never looked back. After 3 months she is 26 kgs lighter and is absolutely on top of the world. She says she doesn’t know why she never did this sooner. Thembi, is a beautiful young lady but she has always battled with her weight and after studying part-time for her degree in marketing and working at the same time, she had put on even more weight. She felt always under pressure and didn’t have time to take care of herself and before she knew it she was unable to fit into any of her clothes. After spending years studying and working she finally earned her degree and that was when she decided it was time to take care of herself for a change and the first thing she needed to do was lose weight. 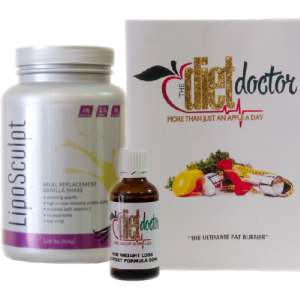 She put a lot of thought and research into it and finally found the answer for her the HCG Diet Drops. Thembi has lost 15kgs in just over a month and is so happy that she wants to tell the world. She has dropped two sizes and is enjoying getting loads of compliments. I feel like a brand new person says Thembi. MyPyramid lets you create your own personalized weight loss plan without worrying about falling short on nutrition. And unlike most diet plans, it also allows you to factor in physical activity level. It so incredibly motivating when you read these stories from people who have successfully lost so much weight.It is so inspiring to read about real people and their successes, how proud they are of themselves and it helps us to know that others have lost their excess weight they have been carrying around and you can too! Why wait, get on the road to weigh loss now and don’t waste another moment of your life.